Judging was based on package innovation, materials use, sustainability, protection, economics, performance, and marketing. Winning packaging design creates a new opening experience for the consumer, simulating Victorinox’s knife opening mechanism. 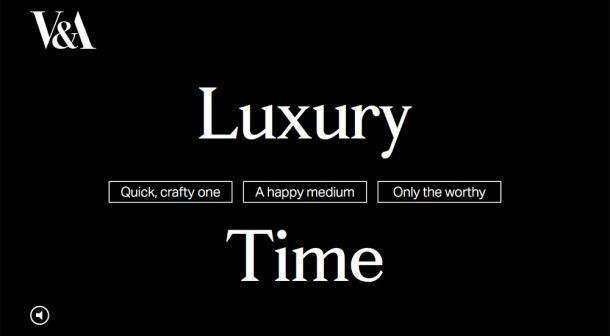 Have you played our AWARD WINNING game Luxury Time yet? 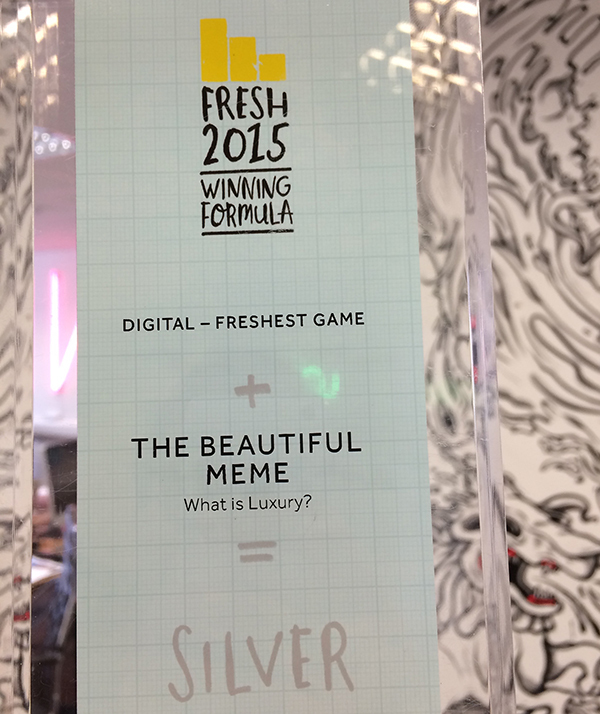 We are all very excited here in the Digital Media team at the V&A at having just won Silver in the Freshest Game category at the annual Fresh Awards for our online game Luxury Time. Luxury Time was conceived and designed by the amazing design agency The Beautiful Meme and built by the equally talented, independent games developer Guerilla Tea. We originally contacted The Beautiful Meme back in March this year with a brief to produce a digital ‘thing’ that would support ‘What is Luxury?’ – a joint V&A and Crafts Council exhibition that challenged ideas of what luxury is and could be, beyond the more immediate thoughts of expensive, shiny, designer handbags and billionaire super yachts. Read more about the exhibition What is Luxury? At that stage though I don’t think we were really prepared for a) the number of exciting proposals they would pitch and b) how difficult it would be to choose. After much deliberation we plumped for the game Luxury Time, partly because it ticked important internal V&A product objectives but also because it actually seemed like quite a brave and unique concept, even slightly…bonkers. Luxury Time presents one definition of luxury as being the incredible amount of time it can often take to create beautiful things and places you in the position of being the maker. 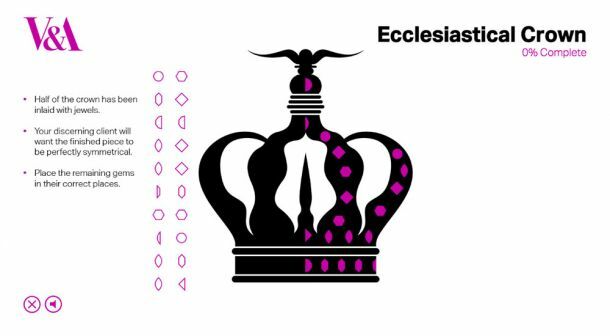 Over 3 levels of increasing difficulty you are tasked with making 3 objects featured in the exhibition. Can you recreate the beautiful symmetry of an 18th-century Rococo-style crown? 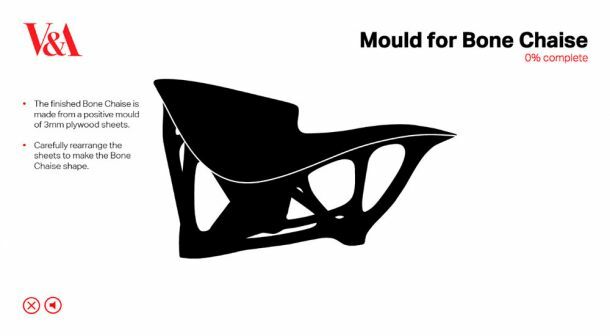 Can you rearrange 3mm plywood sheets to create The Bone Chaise? 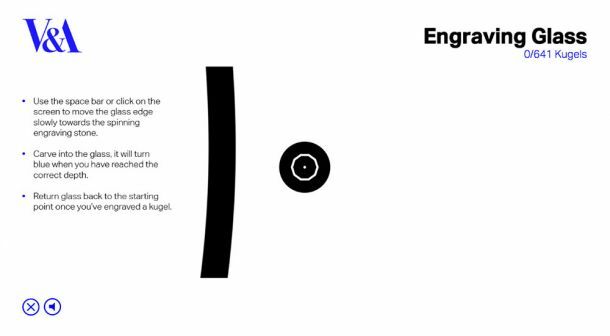 Can you engrave 641 spherical shapes into a delicate glass which could shatter with the slightest wrong movement. Has anyone completed all 3 levels of the game yet? So far @hbatemb has completed the most number of engravings with an incredible effort of 270 before her glass shattered.